This JAG product is guaranteed to be free from defective materials and workmanship for 5 years from date of purchase. Contact JAG Plumbing Products at www.JAGPlumbingProducts.com or toll free at 1-855-686-0133; If you are looking for a WARRANTY Part from GLACIER BAY, please call 1-877-580-5682. 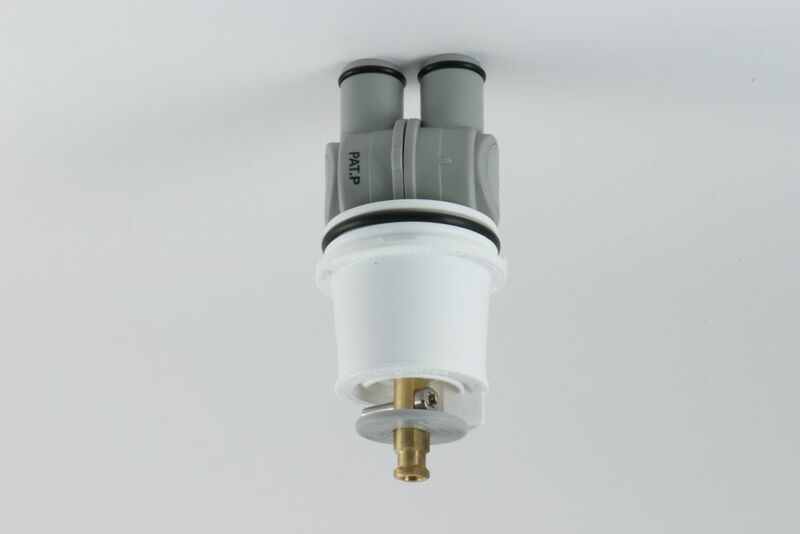 Replacement TUB/SHOWER CARTRIDGE FOR DELTA MONITOR, Ref: RP46074 is rated 4.5 out of 5 by 6. Rated 4 out of 5 by James from Easy to use and works well Bought this to replace older, leaking cartridge in shower. Putting the new cartridge in was easy - getting the old one out - not! Over several years build up of verdigris on mating surfaces made getting the old one out difficult. Getting handle off the old spindle (easy on You Tube) resulted in breaking the spindle off inside the handle. Replacement handle was not a great fit, despite being designed for this particular installation. Rated 5 out of 5 by Cuong from Fit perfectly and good price. ... Fit perfectly and good price. Rated 5 out of 5 by Suleman from Fits Perfectly!... Fits Perfectly! We have a Delta Monitor 1400 that needs replacing. What is the diff between the RP19804 for $39.99 and the RP46074 for $55.99. Hello and thanks for your question. The JAG model 18-557 is a replacement unit for RP19804; whereas the slightly taller 19-557 is the replacement for RP 46074. The 1300/1400 series faucets were single handle pressure balanced tub/shower faucets sold prior to February 2006. The handle controls temperature only and turns counter-clockwise to turn on and clockwise to turn off. These faucets use our the Delta RP19804 cartridges - or the JAG 18-557...The model numbers would start with 13 or 14 and would be a complete faucet. The new single handle pressure balanced faucets that use the R10000 multichoice universal rough in produced after February 2006 are the 13/14 series. The trim is sold separately from the rough and models of the trim will start with T13 or T14. These trims ship with the RP46074 cartridge. That is, the JAG 19-557. Thanks and Happy Shopping.